Overall, all the appetizers were good. 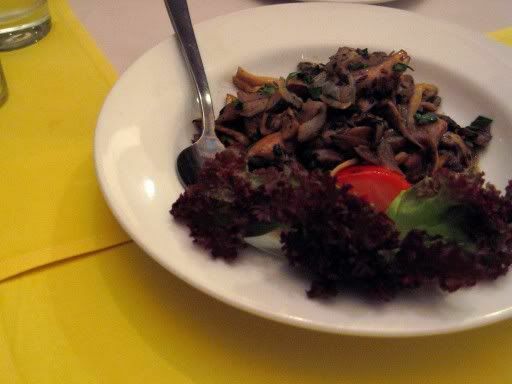 I love a good plate of Sauted Mushrooms and the one at La Suisse was well balanced and seasoned with herbs that the shitakes do not overpower the delicate button mushrooms at all - delicious! 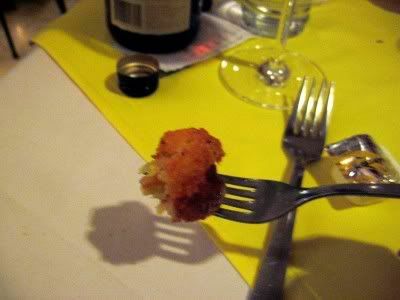 The Deep Fried Cheese was also good, gratinated cheese atop golden brown bread - so simple yet sinfully sublime. 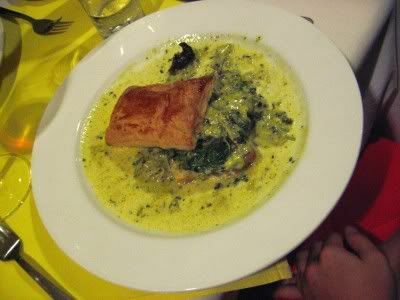 The Escargots were really juicy, served with a cream sauce and sandwiched between 2 pieces of fluffy pastry and a bed of spinach - also worth a try. 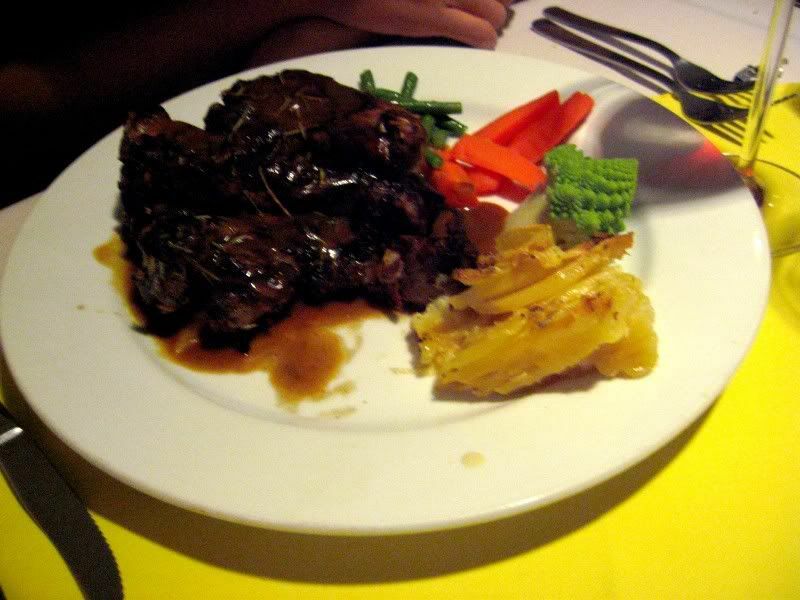 The Lamb Chops, served with a flavourful rosemary sauce, was only ok... The meat was tender but just a tad to salty. I didn't like the Monkfish very much either - the basil sauce was nice but the fish was also a bit too salty. 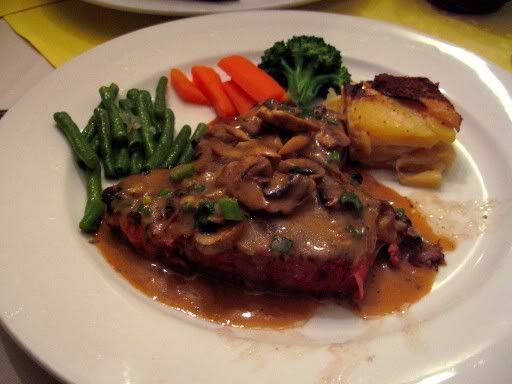 Juicy and flavourful, you can have your steak served with a few different sauces (I like the black pepper, the mushroom and the bearnaisse sauce). They even generously give you a serving pot of extra sauce so that you can have as much as you want. The desserts are generally quite simple but very yummy so please make sure you reserve space for them at the end of your meal. 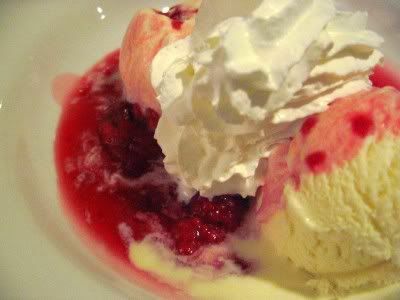 The Raspberries with Ice Cream were scrumptious - the sharp, sweet and sour taste of the warm raspberries were absolutely striking against the cool, creamy sweet vanilla ice cream. The Red Wine Cherries, either way, were also great! 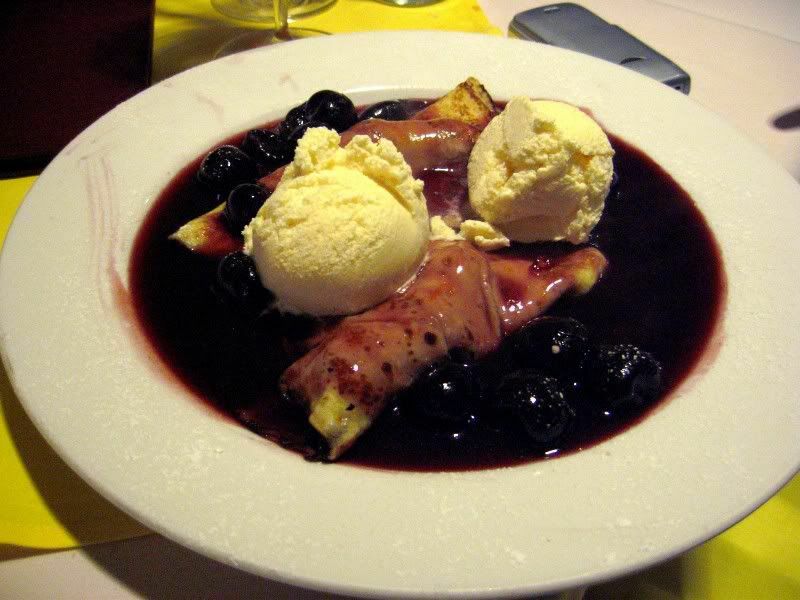 (if you have them with the crepe & ice cream you get slightly less cherries). 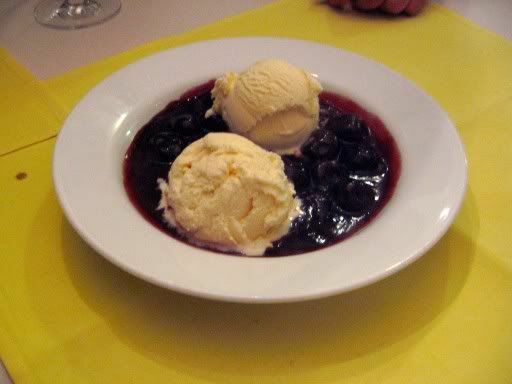 The cherries, served warm in a red wine sauce, were ripe and rich in flavour - paired beautifully with the vanilla ice cream. 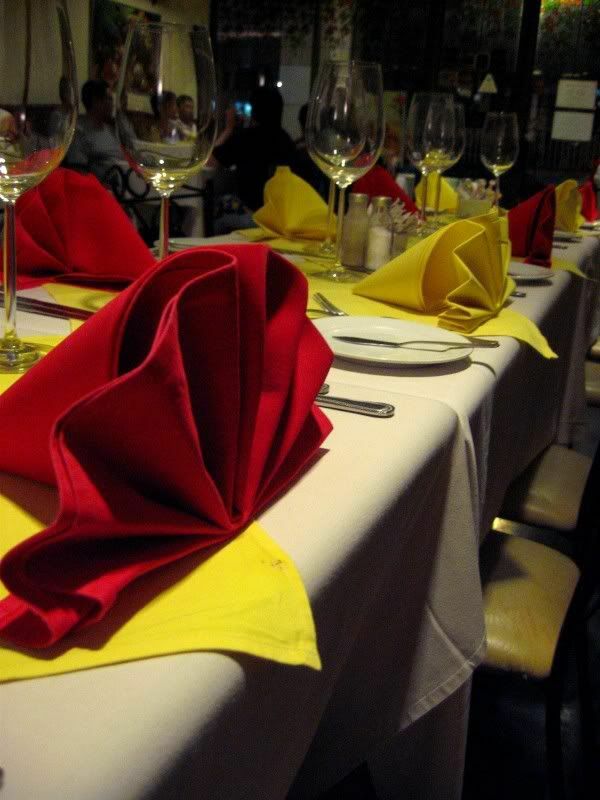 Note: La Suisse gets very packed on weekends so please call ahead to book a place or be prepared to wait for a table. Saturday nights seem to be getting increasingly packed and noisy because La Suisse is popular with families. I do try to be as tolerant as possible with kids because well, they're young and we should all let them enjoy it while it lasts but when they start running around in the small space of the restaurant.... Well, let's just say it's pretty annoying. 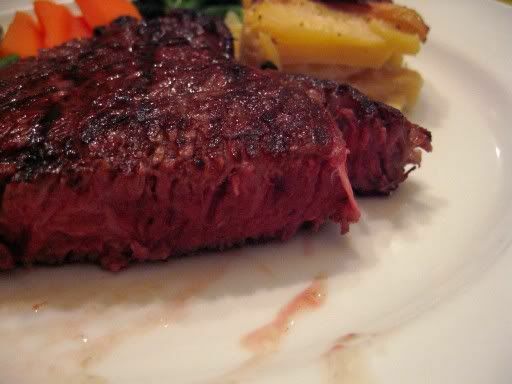 Oh, the steaks (and most of the other food) are still great though! So it's: Good food, comfortable and simple ambience, reasonable prices for the serving size BUT not very impressed with the fish, no background music and nothing much really, I'm definately coming back - watch out not to overdose of red meat though. 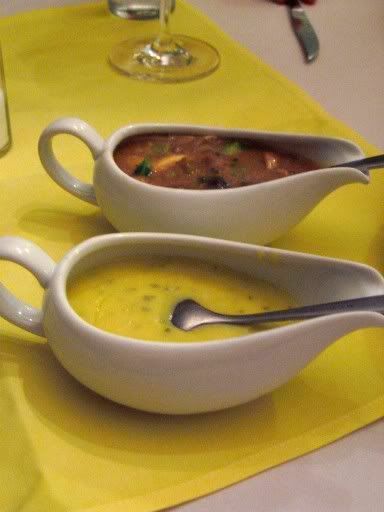 I love the food here becoz he does his sauces so well. 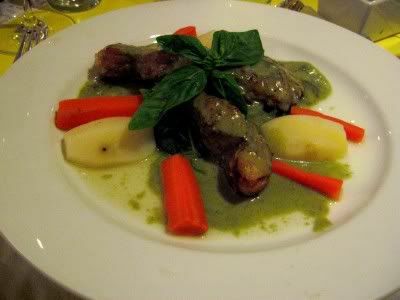 He used to have this lamb sirloin with the herb sauce - had to have it all the time as I was addicted to it. Another yummy appetizer we always have is the Melted Swiss Cheese - great with bread and gherkins and etc. looks good!! but where exactly at Bukit Damansara? Yes... *drool*... they were very juicy. Well, the beef is great and the lamb is good anyway, and that's more than enough to make me happy. You offer to belanja dinner+wine, post it up on your blog and all the girls will come running, I'm sure. It's on Jalan Setiabudi, pretty much right next to Picollo Mondo and Flamenco (same row of shops as the Public Bank). How many of your were eating on that day? Sounds like a lot of food. Good review. Makes me wanna go this weekend itself. Directions from Eastin to get there please? j, how i wish to have da desserts right now!!!! my saliva is dripping......!!!! I'm always trying to improve my reviews in whatever ways possible anyway - I know a map would be helpful but I'm awful at drawing. Are you familiar with the main square of shophouses with all the banks in the Damansara Heights area? Be careful not to drool too much on your computer. Yeah, nowadays Mike's brother usually cooks. Sometimes you see his daughter around when she is back from her holidays.We never seem to make it for desserts though. This place is so popular - once I met my vet here. Have you visit Checkers before? They serve good quality ribs also. ... but the desserts are so yummy! 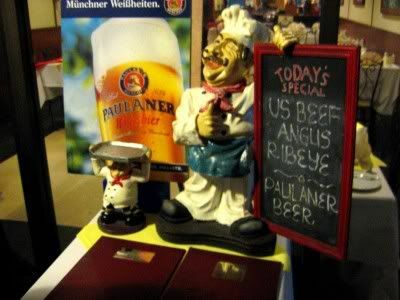 My evil plan to taunt your pitiful beef-less situation has worked brilliantly! I apologise if I made you salivate over your keyboard. Would you have eaten at any of the restaurants along Asian Heritage Row? I remember both places being quite ok though. I'm looking for swiss food in KL/Selangor. 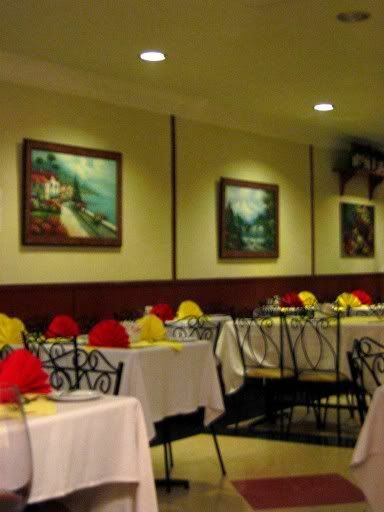 Found a swiss restaurant, Chalet Suisse at Jalan Ampang Utama. Anyone been to this restaurant? How does it rate compared to La Suisse? Recommendation needed on any other good swiss restaurant as well.Thanks! 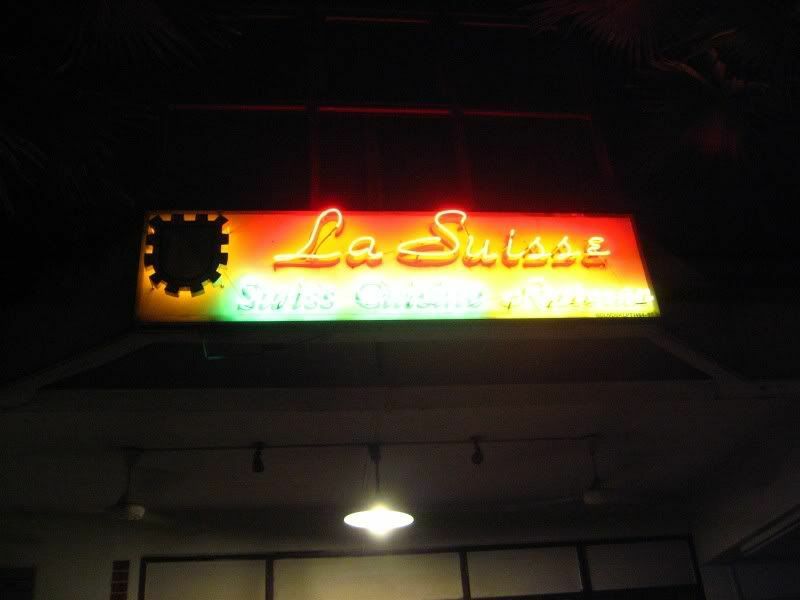 Unfortunately, La Suisse is the only Swiss restaurant I know of in KL/PJ. Seems like the whole area is dominated by Italian/German/Spanish but Swiss is rare!